Maintenance Connection provides Computerised Maintenance Management Systems (CMMS), Facility Maintenance (FM), and Enterprise Asset Management (EAM) Software to organisations worldwide. Our unique blend of technology and personalised service is a critical component of our client satisfaction. Our attention to service is evident in the people we hire, the systems we develop and the way we interact with our clients. 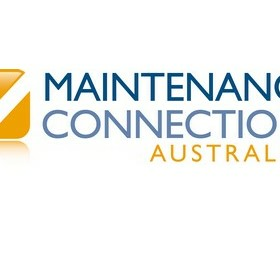 Using Maintenance Connection's simple, easy-to-use browser-based application can help your organisation increase asset life, track maintenance costs, prevent and predict equipment failures, improve labour productivity, reduce costly equipment downtimes, minimise investments in inventory, and lower the total cost of maintenance. There are over 300 standard reports included with the system which can be copied and modified through the user interface. The standard KPI dashboards provide a quick visual indication of how your company is performing in relation to the user defined criteria. Several user interfaces are provided through Internet Explorer to suit different types of users. These include the Maintenance Repair and Operations interface (MRO), the Technician Work centre (TWC) or the Service Requester (SR). The different interfaces further simplify the ease of use of the system by providing only the relevant functionality required. 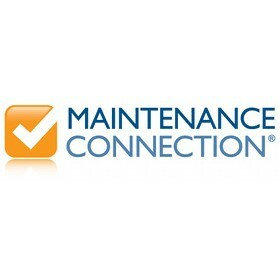 Maintenance Connection is a rapidly growing company leading the way in maintenance management using pure web technology. We were awarded “Product of the Year” by Plant Engineering. Our solutions are deployable either onsite or hosted online in our secure data centre. We deliver a full-featured web-based computerised maintenance management system (CMMS) including Work Order Tracking, Preventive Maintenance / PM Software, Asset Management, Inventory Tracking, Procedure Library, Labour Scheduling, and Service Requests all available by using a web browser. Power hammer? Check. Power drill? Check. Power saw? Check. Maintenance Connection CMMS? If you can’t put a check mark by Maintenance Connection, you may be missing out on what could be the most powerful tool in your belt. Maintenance Connection is the sole provider of a CMMS/EAM solution uniquely positioned to manage all aspects of a maintenance operation, right at the fingertips of maintenance personnel. Maintenance Connection can provide solutions in all aspects of maintenance, all packaged in an intuitive and easy-to-use interface that allows you to manage maintenance, not software. Since 1999, Maintenance Connection has emerged as one of the dominant solutions providers. And our customers keep coming back again and again as a result. Our unique blend of customer focus and leading edge technology makes up an organisation you will want to partner with. Our unique blend of technology and personalized service is a critical component of our client satisfaction. Whether it’s accuracy, reliability, response time, attitude, expertise, support or follow-up, our attention to service is evident in the people we hire, the systems we develop and the way we interact with our clients. Try out the software today find out how our solution can be the most powerful tool in your belt, and put a check mark by Maintenance Connection CMMS.